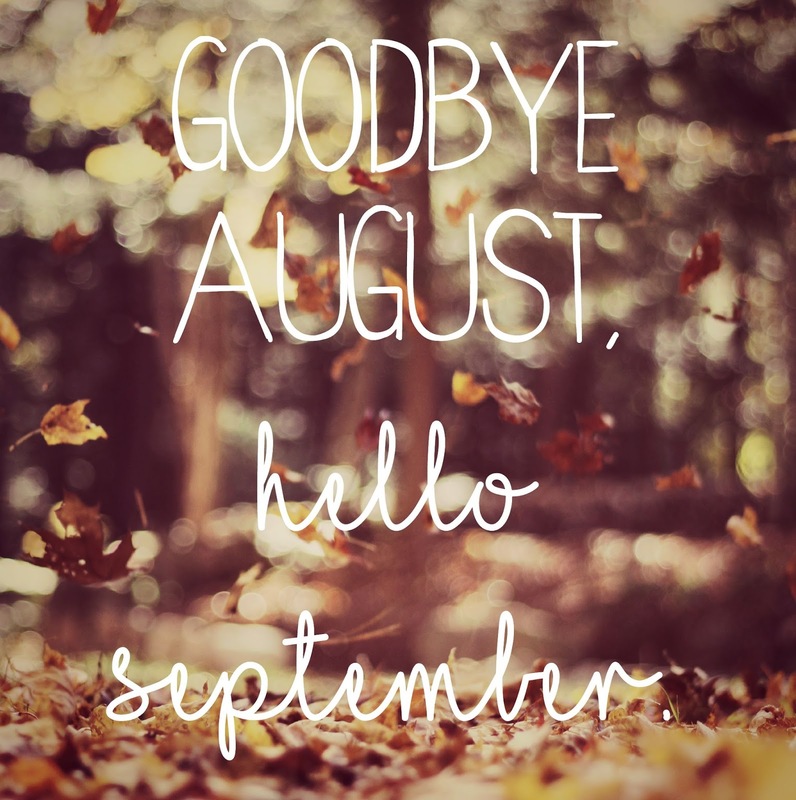 Goodbye August, Hello September. | The girl who loved to write about life. Goodbye to the lazy feeling of the days of summer. Goodbye to coconut scented everything. Goodbye to putting off cleaning and organizing and blaming it on summer. Goodbye to the best peaches and watermelon of the year. Goodbye to my last summer of not having a babe around. Goodbye to wasting too much time worrying about the future and uncertainty. Hello to curling up with a pumpkin spice coffee every morning. Hello to burgundy reds and mustard yellows and burnt oranges and all the delicious colors of fall. Hello to filling my tiny apartment to the brim with pumpkins and scarecrows and owls. Hello to wanting to bake something every single day. Hello to boots and cardigans that it's entirely too hot to wear, but I just won't be able to help myself. Hello to a season of coziness, filled with excitement and hope and the scent of pumpkin. Hello to a brand new season. i cannot wait for September!! FALLLLLL! This summer flew but it was a great one for us. I love fall and will welcome it! I'm so excited for Fall & cooler temps, I did have an awesome summer that I'm sad to see go though! I am so ready to not sweat anymore, I am so over the heat. I love the colors of Fall too. Fall is my very favorite, though summer (as usual) seemed to slip by in the blink of an eye. Bring on the pumpkins! Hooray for September. I hope it brings only good things. Just the thought of a pumpkin spiced latte is making me all excited! !